The all-new 2017 Mercedes-Benz, which is in the last phases of development, was given a curtain raiser preview as photo shots of the new car gave experts an idea of what to expect. The photos of the new 2017 E-Class were shot at the company’s Sindelfingen factory in Germany. Mercedes-Benz seems to have given the new E-Class a safe-bet profile borrowed from the flagship S-Class and the smaller C-Class. There are expected to be two front-end options to choose from including one with a sporty profile featuring an oversized 3-pointed star logo integrated with the grille and a second more elegant profile featuring with a smaller 3-pointed star logo and a multi-slat grille. The new E-Class will be built on the modular MRA architecture employed in the C-Class and although the size will be similar to the extant model, it is expected to be far more light-weight. 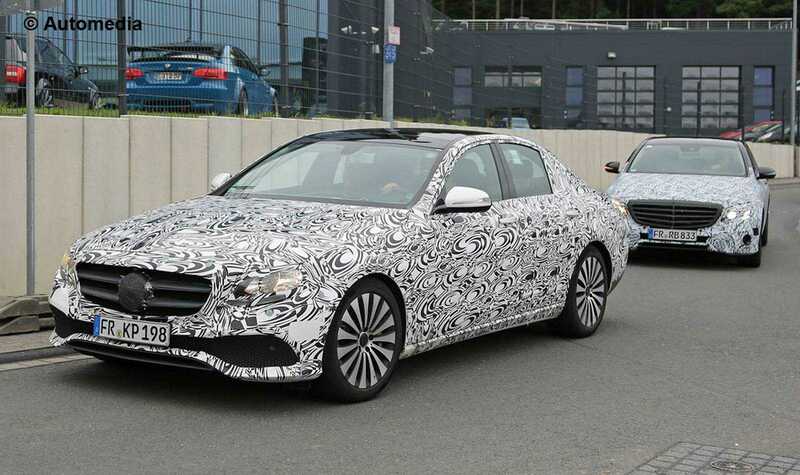 The next E-Class will feature a self-driving technology internally dubbed w213. This technology would use a combination of sensors, lasers and cameras to control the car on highways at speeds of about 80 mph. The optional (not a standard feature) self-driving technology is estimated to make the driving experience more relaxed and safer as it will be able to pre-empt and prevent accidents. The upcoming E-Class will also feature the straight-6 engine, the first Mercedes vehicle to feature this engine in 20 years. There are expected to be both diesel and gas versions that will replace the V6 of the current model. This engine is expected to find its way gradually to other models too, including the S, the C, the SL and the GLE. A plug-in hybrid 2017 E-Class model is also expected to join the line-up later on. The top-end Mercedes-AMG E63 would get the twin-turbocharged 4L V8 down-sized unit capable of an output of 600 horsepower to all the four wheels through a connected 9-speed automatic transmission. It is estimated that the 0-60 mph will be reached in less than 3.5 seconds. The new E-Class super sedan is expected to be faster and more powerful than its main rival, the BMW M5. 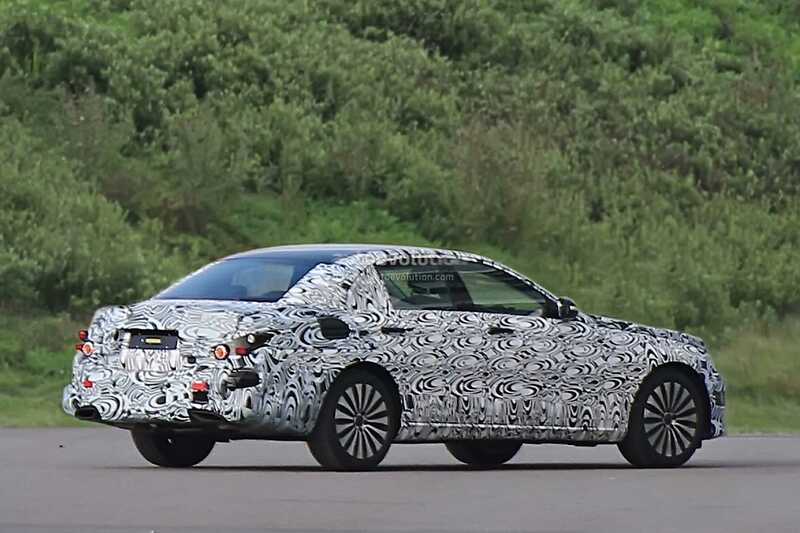 The new sedan is estimated to make its first appearance at the Detroit Motor Show in January next year. Station wagon, coupe and convertible models are expected to follow shortly after the sedan launch.